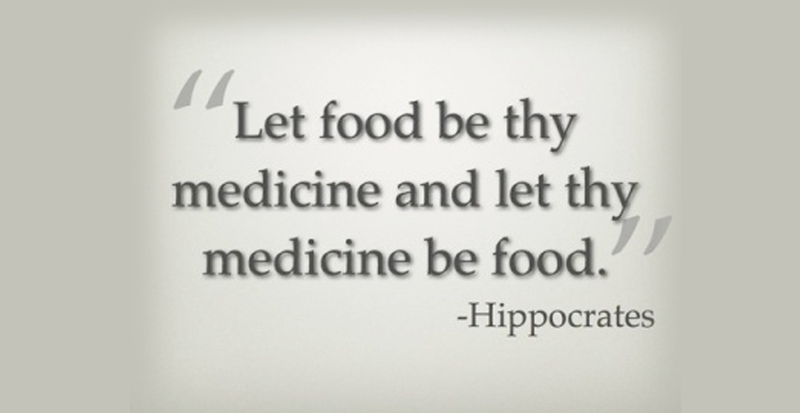 Food is an important part of your everyday life; it can harness incredible healing properties. Food is key to health and happiness on many levels. 1) Food is physical: Food provides the vitamins and nutrients necessary to help the body work properly. For better or for worse, there is no way around this; it is rooted in our biology. 2) Food is emotional: Food can be a reliable source of pleasure. However, other times it may make you feel worse. It is important to learn how to balance food with emotional patterns. 3) Food is social: Meals also fulfill a social role, in that they may be rewarding to prepare and fulfilling to share with others. There is no one-size-fits-all eating plan. What is good for one person may not be best for another. However, there are essential nutritional building blocks that must be included in any diet. ***The rest of this article in short; you can get virtually ALL of the essential Vitamins and Minerals you need from fruits and vegetables (ideally of the Organic variety). Your body is composed of many cells, each of which has proteins called enzymes. Enzymes create the energy you use to get out of bed, walk around, lift your fork and ride your bike. This is also the same energy that your organs (e.g. the liver and intestines) use to take care of and detoxify your precious body, without you having to think about it. These enzymes REQUIRE certain Vitamins and Minerals to work properly. Without a sufficient amount, your body cannot create the energy that it needs. It will also not be able to detoxify itself properly. This can lead to big health problems down the road. Virtually every Vitamin and Mineral you need can be derived from fruits and vegetables. Organic produce is strongly preferred, because it lacks any potentially harmful chemicals. Whether you crave sweet, fatty, savory or spicy dishes, there remain an incredible amount of options available to you. And spices are encouraged to be used liberally; the wider the variety, the better! Aside from the science, food has everything to do with FEELING good. We feel good when we have balance. Not too cold, not too hot. Not too hungry, not too full. Not too tired, not too tense. 1) Find the right balance of produce in your diet by slowly introduce fruits and vegetables. Just a few servings a day will make a big difference in the long run. Generously eating fruits and vegetables has been correlated with a decrease in many cancers as well as heart disease. 2) Switch it up. Varying type of produce you eat will ensure that your body gets the variety of nutrients that it needs, since every fruit or vegetable contains a unique combination of vitamins and minerals. 3) Don’t rush. It is very helpful to develop an ability to sense your body. Eat slowly and mindfully. Try taking a slow, deep breath during and after each time you take a bite. “Diet and Health: What Should We Eat”, Willett, Walter C., Science, April 22, 1994;264:532-537. “Dietary Variety Increases the Probability of Nutrient Adequacy among Adults.” Janet Foote, et al,. Journal of Nutrition. vol. 134 no. 7 1779-1785 (2004).